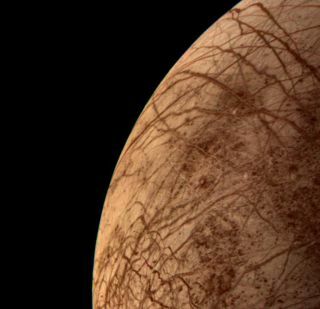 The icy shell on Jupiter's moon Europa may hide a rocky surface that's too strong to be geologically active. Ganymede, an ocean world orbiting Jupiter, is so large that just its rocky core is still larger than Earth's moon. Saturn's Enceladus is the only moon the team looked at where they think interactions between rock and water could realistically fuel life.